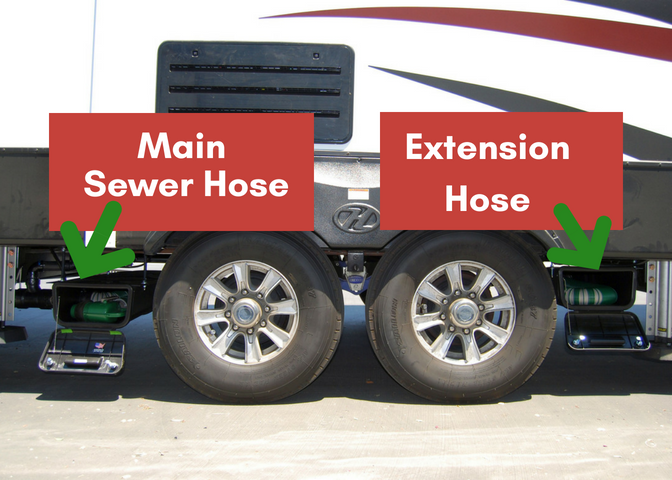 Storing a Sewer Hose on a 5th Wheel has always been an issue because of the lack of a suitable storage space specifically for the hose or hoses. 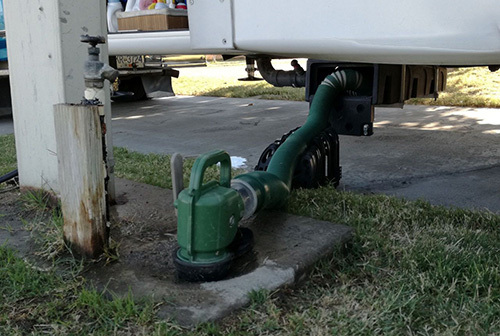 That is over now that Drain Master has the perfect solution that not only stores the hose system, but makes the task of dumping as simple as putting gas in your vehicle! 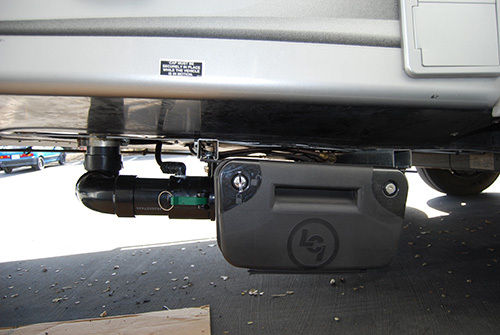 The storage enclosure in front of the wheels stores the hose system, and the coach end is permanently connected using and industrial grade Cam Loc fitting. The other end, the ground sewer inlet, has a nozzle with a shut off just like you have at the gas pump! To dump your holding tanks simply open the enclosure door, pull the hose/nozzle out and to the ground sewer inlet. Secure the nozzle in the sewer inlet, and then open the internal valve in the nozzle. Dump your tanks as normal Black first then Gray, nothing new here. 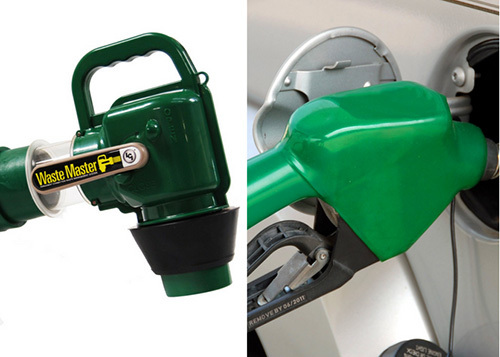 When done close the nozzle valve, remove from the ground sewer inlet and return the hose/ nozzle to the enclosure. Close and lock the door and you are done! When the need for a longer than 20 foot sewer hose is needed and additional 20 feet of extension hose is stored in another enclosure behind the wheels as shown in the photo. NO odors in any storage compartment supplied with the 5th wheel giving the user a far superior Waste Management System while adding lots of additional smell free storage in the existing storage areas.